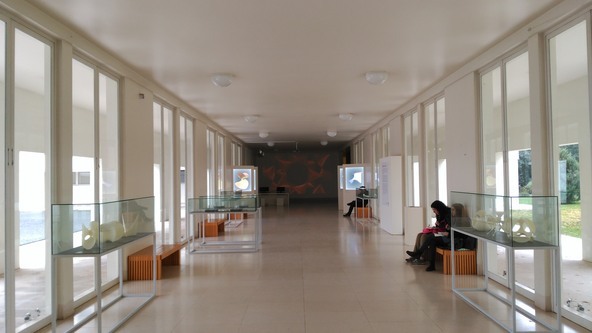 We are very happy that the exhibition “Forms and Formulas” which took place from 2012-2016 in the science museum in Lisbon, Portugal, is now presented at the university of Lisbon in an adapted version. 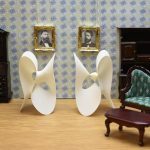 The white math sculptures you see in the photo were produced by MO-Labs in 2012 for this exhibition. 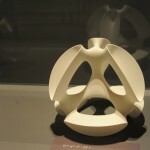 In total, the exhibition hosts more than 60 of our 3D-printed math models. Here is the online version of the Forms and Formulas exhibition catalogue with lots of images. Photo credits: Jose F. Rodrigues.